Acting U.S. Attorney Phillip A. Talbert announced today that Assistant U.S. Attorney Kevin C. Khasigian will serve as the District Election Officer (DEO) for the upcoming November 8, 2016, general elections for the Eastern District of California. Counties in the Eastern District are: Alpine, Amador, Butte, Calaveras, Colusa, El Dorado, Fresno, Glenn, Inyo, Kern, Kings, Lassen, Madera, Mariposa, Merced, Modoc, Mono, Nevada, Placer, Plumas, Sacramento, San Joaquin, Shasta, Sierra, Siskiyou, Solano, Stanislaus, Sutter, Tehama, Trinity, Tulare, Tuolumne, Yolo, and Yuba. 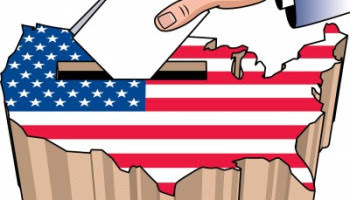 Federal law protects against such crimes as intimidating or bribing voters, buying and selling votes, altering vote tallies, stuffing ballot boxes, and marking ballots for voters against their wishes or without their input. Actions designed to interrupt or intimidate voters at polling places by questioning or challenging them, or by photographing or videotaping them under the pretext that these are actions to uncover illegal voting may violate federal voting rights law. Further, federal law protects the right of voters to mark their own ballot or to be assisted by a person of their choice. In order to respond to complaints of election fraud or voting rights abuses on November 8, 2016, and to ensure that such complaints are directed to the appropriate authorities, DEO Khasigian will be on duty in this District while the polls are open. He can be reached by the public at: (916) 554-2700 and (916) 554-2723. In addition, the FBI will have special agents available in each field office and resident agency throughout the country to receive allegations of election fraud and other election abuses on Election Day. The FBI can be reached by the public in the Eastern District of California at (916) 746-7000 or at tips.fbi.gov. Email links icon , or by complaint form at www.justice.gov/crt/complaint/votintake/index.php.